Businesses face the same types of risks as individuals, and then some. Fires, car accidents, slips, falls, illnesses and injuries—and resulting lawsuits—are just some of the risks that businesses of all kinds face every day just by opening their doors to workers and customers. Whether your business is a multi-million dollar corporation or a sole proprietorship headquartered in your basement, you need some type of business insurance to protect your investment and your livelihood from all of the risks that you face. Not every business needs the same type of business insurance, but most businesses—small or large—need a variety of policies that together address general business risks and more tailored industry or business-specific risks. 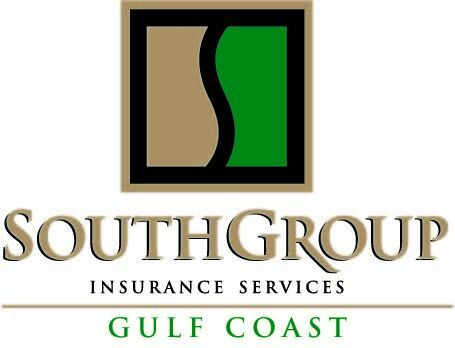 Our job is to work together with you to uncover the specific threats to your business and recommend insurance policies and other techniques to protect your business property and assets, as well as provide liability protection in case you are sued. Most business owners need a comprehensive property and liability insurance package at a minimum, as well as certain specialty polices that protect against the unique risks that they face. Business property insurance protects you when your business property is damaged by someone else or by some type of unforeseen event. You need business property insurance if you own your building or have tangible business assets. A commercial property policy protects things like office equipment, computers, inventory and tools from fire, vandalism, smoke, theft and other perils. Commercial property insurance policies usually include business interruption coverage, which protects your earnings if your business is unable to operate because of damage caused by some type of covered peril. Commercial auto insurance protects your company’s vehicles and drivers. It covers your business cars, SUVs, vans and trucks if they are damaged in a collision or some other type of event. If you do not have any company-owned vehicles but you or your employees drive personal vehicles for business purposes, you need to have non-owned or hired auto coverage to protect your company if an employee is in an accident while driving a personal vehicle for business purposes. All businesses need some type of liability coverage. Commercial general liability (CGL) insurance protects you against damage that you cause to other people or other people’s property (bodily injury liability and property damage liability). A lawsuit or a liability judgment rendered against your business can be financially devastating and your CGL policy can be your last line of defense. It provides coverage for damage that you, your employees, or your products or services cause or are alleged to have caused to a third party. In addition, commercial general liability insurance provides coverage for the cost of your legal defense if you are sued. Some businesses may need additional liability policies to protect them from certain unique liability risks inherent to their business. Additional business liability policies that you must consider include professional liability (errors and omissions) insurance, cyber liability insurance, product liability insurance, employment practices liability insurance, and others. Small business owners often purchase both property and liability coverage in one convenient package called a business owners policy, or BOP. BOPs often include commercial property coverage, commercial liability coverage and business interruption coverage. Workers’ compensation insurance protects employees who are injured on the job. It provides income replacement and medical benefits to workers who sustain an illness or injury that is caused by performing job duties. Employees are protected from the costs of treating the injury and from losing income while they are unable to work, and you are protected from the likelihood that an injured employee will sue you for additional damages. State workers’ compensation laws vary, but most employers are required to purchase workers’ compensation insurance or face fines for non-compliance. Depending on the type and size of your business you may need additional types of insurance policies to protect various aspects of your business. Some employers may choose to provide a variety of employee benefits, including group health insurance, dental insurance and others. Construction companies may need additional types of construction insurance as well as various types of bonds in order to obtain new business. Manufacturers, restaurants, retail establishments and many more types of businesses will need a combination of coverage types that address the exposures they face while doing business. You need an independent insurance agent who can serve all of your unique business insurance needs. We can help you find the best policies that suit your needs and budget requirements. Are you interested in learning more about the different types of insurance your business needs? Do you have the right insurance policies and risk management techniques in place to protect you livelihood and your employees?